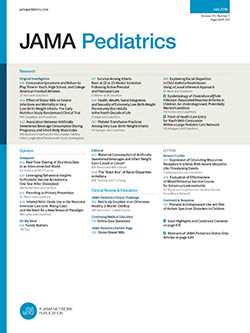 The sporadic case of Peutz-Jeghers syndrome presenting during childhood poses a continuing challenge. Mucocutaneous pigmentation represents the most reliable diagnostic sign and should be sought in any child who complains of episodic abdominal pain. Recurrent iron deficiency anemia points to gastrointestinal blood loss, even when periodic stool examinations are negative for occult blood. A conservative surgical approach is advocated with local excision of symptomatic and accessible polyps. The risk of a gastrointestinal malignant neoplasm in adults with Peutz-Jeghers syndrome may be slightly greater than in the general population, and in women there is an increased incidence of ovarian tumors. These factors, combined with the unpredictable appearance of new polyps, make continued follow-up of individuals and families with Peutz-Jeghers syndrome necessary.